Accounting to us has always been about more than just numbers – it’s been about the people. We recognize that each of our clients have individualistic needs and goals, so it has been our objective to align with those needs by establishing trusting relationships. Our Calgary accounting firm always strives to stay ahead of technological advances, which is why we fully support cloud-based systems. Using these systems allows us to assist clients towards a paperless and streamlined accounting future. With experience and confidence, we have the ability to look at the bigger picture and make beneficial recommendations while keeping the finer details at heart. Whether you’re looking for a small business accountant in Calgary, or a company that provides tax services, our CPA certified team, located downtown, can assist with all of your business’s financial needs. Hakim Kapasi started his Calgary accounting firm in 1993. Kapasi & Associates was built on the vision of helping people find tax solutions while helping their business achieve culminating results. When Hakim became a Chartered Accountant in 1982, he realized just how important these relationships were. Never losing focus on his original mission, which is helping small to mid-sized business owners, Kapasi & Associates quickly grew to become one of Calgary’s trusted professional accounting firms. 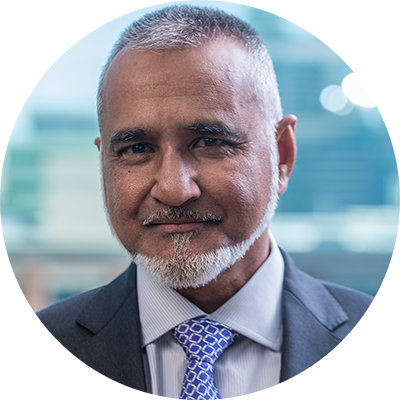 During the past three decades, Hakim has had the privilege of working with a diverse range of clients, giving him the knowledge necessary to appeal to any accounting and tax needs. By surrounding himself with experts in the field and embracing industry changes, he has created a firm founded on the principles of trust and adaptability. What range of services and support is offered to your clients? We provide incorporation and start up consulting to get you going, compilation and review assurance services at year end, as well as tax compliance, planning, and CRA correspondence throughout the year. Our firm prides itself on being a one stop shop for all business start-up, accounting, and tax services. What is the best way to track business income and expenses? Our clients use a variety of methods, from file folders to spreadsheets to cloud-based bookkeeping software. We work with you and what you are most comfortable using. Our suggestions and help with implementation depend on the size of the business and the number of transactions you will be dealing with. We are partners with Quickbooks Online and Xero cloud based software and can help you implement proper bookkeeping into your business. What expenses can be deducted for business purposes? Generally, if the expense relates to earning business income, it can be deducted. A few main areas businesses get into trouble with the CRA is when they attempt to deduct non-business travel/automobile expenses, non-business meals/entertainment, and medical expenses without a third-party health plan set up in the company. We have comprehensive lists of expenses and can help you navigate the rules to ensure you are taking the maximum deductions possible without ending up on the wrong side of a CRA auditor. Should I incorporate or stay as a sole-proprietor? Even though this is one of the most common questions we answer, unfortunately the answer is definitely not straight-forward. Each client situation is different and there are various business and tax reasons both to and to not incorporate. Some common considerations are a) the small business tax rate (12% in Alberta) and the ability to use it as a tax deferral tool; b) the ability to income split with family members contributing to the business; c) opting out of CPP (a 9.9% payment for the self-employed up to a maximum); and d) limited legal liability and insurance purposes. We can help you navigate through this decision and determine what makes the most sense. How do I pay myself as a shareholder of my company? There are two methods of paying yourself, dividends and salary. The net tax (between personal and corporate) should be approximately the same between the two methods, but there are a few key differences: a) salaries require payment into CPP (9.9% payment up to the maximum); b) salaries allow contribution into an RRSP as it creates earned income; c) dividends allow for a refund of investment tax that is paid for passive investments earned in a company. Your personal situation will determine the best approach to take and we can help you optimize your tax plan. Our Calgary accounting firm sees the big picture when it comes to income tax. Any accounting firm can assist you in filing during tax season, but as tax planning and preparation specialists we deliver minimization and deferral strategies unique to your personal and corporate tax picture. Financial statements deliver pertinent information regarding your business’s overall well-being. With our professional eye on your accounts we can reveal important insights which will help to increase the profitability and effectiveness of your company. Knowing if you are ready to incorporate can be a challenging decision. We can help you make an informed choice. Kapasi & Associates' incorporation services are thorough and include all of the necessary documentation to get you going in the right direction. Effective corporate accounting is made easier with well attended bookkeeping and payroll. We can teach you how to set up and execute these cycles yourself, or take care of them for you so that you can focus on what matters most to you. Your business is more than just numbers, it’s the reflection of a passion and dedication towards a cause bigger than yourself. So why settle for just any accounting service? At Kapasi & Associates, we are committed to delivering the wisdom and experience of an established Calgary accounting firm, while embracing the efficiencies of modern accounting practices. Our firm is dedicated to working with our clients to integrate cloud-based systems which streamline processes and set businesses up for success. Because we believe in working with you, we make ourselves available to providing you with advice and guidance every step of the way without billing you for every minute question or request. 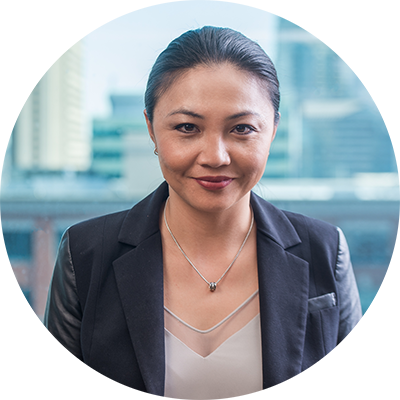 Our medium and small business accountants can help you understand Calgary’s business tax while guiding you through any changes. As your business grows and evolves, we have the capacity to adapt to your needs. Founded from small and local beginnings, our own business has grown into a robust team of experts and advisers, giving us the experience required to recognize growth in other businesses as well. So, whether you need a personal accountant, or you need someone to navigate your business through the financial landscape, know that our team have the expertise you’re looking for. Working with us is more than just completing your tax filings, it is a collaboration for a successful future. Great accounting starts with a solid relationship — and our Calgary accounting firm is built on the foundation of those relationships. We want to get to know you and your business! Book a meeting and we can discover if we are the right fit for each other. We understand the needs of engineering, business and project professionals inside and out. Kapasi & Associates' experience in this sector makes us well-suited to help your start-up and properly maintain its records and accounts. Information technology is a fast changing industry which requires adaptable accounting. With our proactive planning approach we can help you rapidly evolve as necessary. Businesses within the legal and financial sectors require a specific style of consideration when handling accounting matters. Let our expertise help you navigate these decisions. Establishing a medical practice involves an intricate layer of accounting know-how. We work directly with Alberta medical colleges to set up professional corporations for all medical professional types. You create the infrastructure that provides people with places to live and work, so managing the finer accounting details need to be convenient and thorough. Our experience can help you achieve your goals. Whether you are in brick and mortar shop, or you do all of your business online, we understand the complexity involved in managing retail and hospitality businesses, from the start-up phase, to expansion, to selling the business.